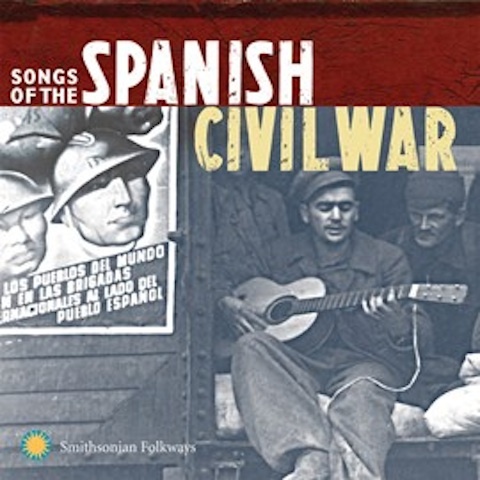 On October 14, Smithsonian Folkways will release Songs of the Spanish Civil War, a historically vital collection of songs from the 1930s that reintroduces the hymnal of the Abraham Lincoln Brigade, more than 2,600 American volunteers who fought General Francisco Franco in support of a democratic Spain. Songs of the Spanish Civil War volume 1 was originally released on Moses Asch’s Folkways Records in 1961. It combined two separate recordings: Six Songs for Democracy, recorded in Spain in 1938 in the middle of an air raid on Barcelona, and Songs of the Lincoln Brigade, recorded by Pete Seeger and friends in 1944. Volume 2 was released on Folkway Records in 1962 and was divided into three sections. The first was originally pressed to commemorate the 25th anniversary of the war and features Woody Guthrie, the second was recorded in the 1930’s and released as Songs We Remember, and the third was recorded in New York City in 1938 and released as From Behind the Barbed Wire. By popular request, and for the first time, these two volumes are paired together on one album. Songs of the Spanish Civil War lineup of musicians – Pete Seeger, Tom Glazer, Butch and Bess Hawes, Ernst Busch, Woody Guthrie, the people of Catalonia/Seville/Asturias, and Bart van der Schelling. Preview some tracks from the album here. Given the origins of much of Bluegrass Music, I thought this album might be of interest to many. Besides that, Smithsonian Folkways have successful history of releasing musical gems in my experience. The latest release in Smithsonian Folkways Classic series is, Classic Celtic Music. This release is due out on 26th February 2013 just in time for St Patrick’s Day. Few genres carry such a rich and deep history as Celtic music, which reflects centuries of culture of the British Isles and Ireland as well as their North American inheritors. This month Smithsonian Folkways will release the 20th compilation in its Classic series, ‘Classic Celtic Music’ from Smithsonian Folkways. Compiled by music historian and folklorist Richard Carlin, ‘‘Classic Celtic Music’’ delves into this diverse world of musical traditions, and is sure to delight both longtime fans of the genre and newcomers alike. Sneak Preview: Click this link to listen to three selections from Classic Celtic Music album. Carlin’s 23 selections span a wide spectrum of sounds from the Celtic regions, contrasting better-known early recordings with some of the best contemporary interpreters. 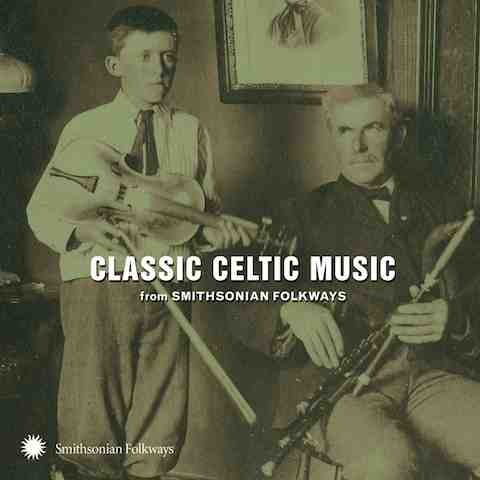 Styles ranging from Sligo fiddle tunes to Northumbrian piping to sean-nós singing are represented in this enjoyable introduction to the Celtic music riches of the Smithsonian Folkways archives. Some of the selections, like Margaret Dirrane’s “’Twas Early, Early in the Spring” and Joe Heaney’s “The Rocks of Bawn“, date to the mid-1950’s, while others were recorded in the latter part of the 20th century. The track list includes a hearty sample of field recordings as well as a previously unreleased tune, ‘Derry Hornpipe’, recorded at the 1983 Smithsonian Folklife Festival in Washington, DC. As with every compilation in the Smithsonian Folkways Classic Series, ‘Classic Celtic Music’ explores the breadth and depth of a genre while the liner notes offer insight into the cultural and historical contexts of each selection. 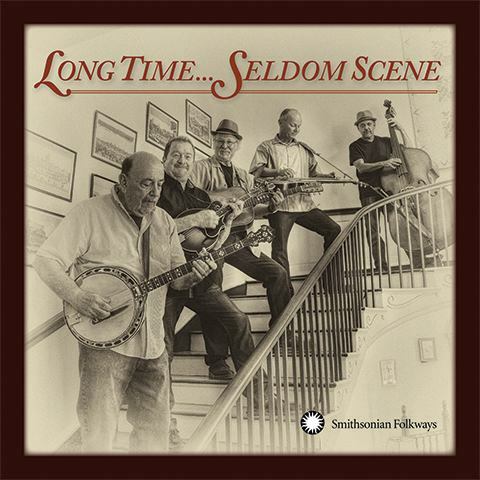 During the last 10 years, Smithsonian Folkways has released critically acclaimed “Classic” compilations of bluegrass, folk, blues, maritime, old-time, and mountain music, among others. The Classic series is an enjoyable introduction to the diverse repertoire of American music available from Smithsonian Folkways Recordings. Each explores the breadth and depth of a genre while the notes trace its significance within American musical heritage. Longtime lovers of American roots music and newcomers alike find value and enjoyment in their Classic series. Compiled and annotated by Grammy Award winning Smithsonian Folkways Archivist Jeff Place, award winning bluegrass radio presenter Lee Michael Demsey, blues historian Barry Lee Pearson, and others, the series has produced compilations of bluegrass, folk, blues, maritime, old-time, and mountain music. 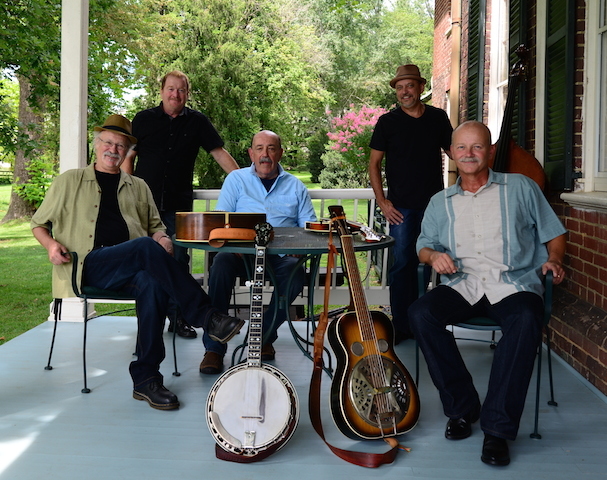 Other titles in the series include: Classic Bluegrass, Classic Appalachian Blues, Classic Protest Songs, Classic Old-Time Fiddle, Classic Railroad Songs and more. 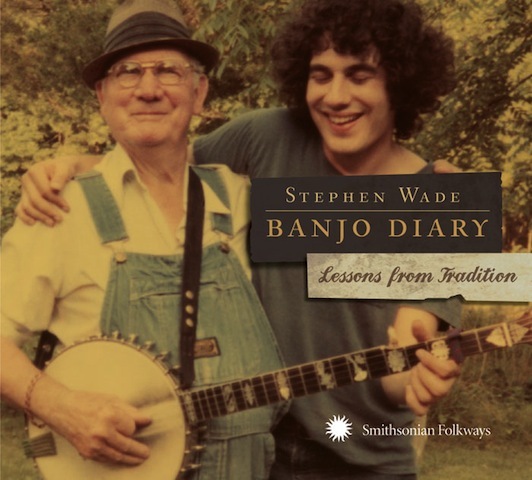 The Smithsonian Folkways Recordings have released Stephen Wade’s Banjo Diary: Lessons from Tradition. Its release coincides with the publication of his new book, The Beautiful Music All Around Us: Field Recordings and the American Experience (University of Illinois Press). Innovative and often surprising, Banjo Diary: Lessons from Tradition explores knowledge older musicians have bequeathed to younger players. Inspired by past banjo masters of frailing and of two- and three-finger styles, Stephen Wade, accompanied by Mike Craver, Russ Hooper, Danny Knicely, James Leva, and Zan McLeod, mines new creative possibilities with pump organ, piano, mandolin, fiddle, guitar, Dobro, washboard, rhumba box, and bass. From ragtime to reels, lyric songs to mountain blues, from Irish American to African American, across moods spanning brooding to jubilant, sentimental to stark, the banjo and its many voices finds new vibrancy on these recordings. You can hear three of the tracks from the album Banjo Diary: Lessons from Tradition here. The album emerges from decades of personal contact, of skills and repertories passed along by living example. For Stephen Wade, a musician who writes about music, Banjo Diary takes its inspiration from the earlier field recordings that form the core of The Beautiful Music All Around Us. “Find the people who know how to play this music,” his teacher instructed him years ago. Urged to explore this creativity in its home environments, Banjo Diary chronicles eighteen of those experiences in sound and accompanying notes and booklet photographs. Wade is a wonderful emissary, of course, not only in his astounding skill and unflagging energy, but through his mesmerizing passion and devotion to the music and to its master musicians – Richard Harrington, Washington Post. For information about The Beautiful Music All Around Us: Field Recordings and the American Experience (book), including an extensive events schedule starting in August, please visit: http://www.press.uillinois.edu/wordpress/?p=9518. The album contains 18 tracks, 58 minutes, 44-page booklet with extensive notes and photos. In honor of the Woody Guthrie Centennial, Smithsonian Folkways Recordings will release the new box set Woody at 100: The Woody Guthrie Centennial Collection on 10th July, 2012, four days before the treasured musician would have turned 100 years old. Below you can see the behind-the-scenes-mini documentary “The Making of Woody at 100: The Woody Guthrie Centennial Collection from Smithsonian Folkways”. Folkways archivist Jeff Place and sound production supervisor Pete Reiniger speak about the experience of compiling the Centennial Collection and connecting the “links in the chain” for contemporary folk artists whose roots lie in the music of Woody Guthrie. In honor of the Woody Guthrie Centennial, a year-long celebration of Woody’s 100th birthday, Smithsonian Folkways presents an in-depth commemorative collection of songs, photos and essays on one of America’s most treasured 20th-century icons. ‘Woody at 100: The Woody Guthrie Centennial Collection’ is a 150-page large-format book containing three CDs with 57 tracks, including Woody’s most important recordings such as the complete version of “This Land Is Your Land,” “Pretty Boy Floyd,” “Pastures of Plenty,” “Hard Travelin’,” “Jesus Christ,” “I Ain’t Got No Home in This World Anymore,” and “Riding in My Car.” The set also contains 21 previously unreleased performances and six never-before-heard original songs, including Woody’s first known — and recently discovered — recordings from 1939. In commemoration, Smithsonian Folkways Recordings will release Elizabeth Mitchell’s ‘Little Seed: Songs for Children by Woody Guthrie,’ featuring re-imagined renditions of 13 kid-friendly Guthrie classics. The only CD of Guthrie’s children’s songs coinciding with the Woody Guthrie Centennial (www.woodyat100.com), ‘Little Seed’ releasing July 10th pays tribute to the legendary songwriter’s uncanny ability to inhabit both the perspective of a loving, protective parent and the voice of a freewheeling child. The album includes thoughtful versions of children’s songs “Riding in My Car,” “Grassy Grass Grass,” and “Bling Blang.” Mitchell also shares her version of “This Land Is Your Land,” Guthrie’s signature song that many people consider a second national anthem. The Smithsonian Folkways archives hold the largest collection of Woody’s recordings (he recorded hundreds of songs for Folkways Records founder Moses Asch). Purchase pre-order* packages of ‘Woody at 100’, including a limited-edition poster, t-shirt, and instant album download. Woodrow Wilson “Woody” Guthrie (1912–1967), who would have turned 100 on July 14, 2012, wrote songs that became the soundtrack of an era and permanent fixtures of American identity. His early Dust Bowl ballads, along with more than 3,000 work songs, union and labor songs, political and philosophical songs, anti-war songs, anti-Nazi songs, love songs and children’s songs, marked the pulse of hard-hit people in times of economic depression and war. Many have embraced “This Land Is Your Land” as America’s second national anthem. Woody was ordinary, yet extraordinary — a traveler, itinerant worker, radio performer, military enlistee, thinking man, gifted visual artist, a husband and father, and prolific writer who left his mark on music, culture and politics. He struggled with family tragedies, poverty and personal demons. Richly illustrated with photos, artifacts and Woody’s visual art and lyrics – plus extensive essays on Guthrie and his songs – ‘Woody at 100’ commemorates and displays the genius of one of the greatest songwriters, musicians and visual artists of the 20th century. The book features essays by co-producers Robert Santelli, executive director of the Grammy Museum and author of “This Land Is Your Land: Woody Guthrie and the Journey of an American Folk Song,” and Jeff Place, Grammy-winning archivist for the Smithsonian Center for Folklife and Cultural Heritage and producer of several Woody Guthrie collections and exhibitions. Four of the unreleased performances, including original songs “Skid Row Serenade” and “Them Big City Ways,” are Woody’s earliest known recordings, made in 1939 while he was working for KFVD radio station in Los Angeles. The set also includes a medley performed in 1940 on Lead Belly’s WNYC radio show. The book offers an extensive biography of the artist and background information on each track. *Visit folkways.si.edu/woodyat100 for a sneak preview featuring an unreleased song and pre-order packages including a limited-edition poster, T-shirt, and instant album download. Instant album downloads are available only with the purchase of pre-order packages. Pre-order packages will ship approximately the week of July 2. 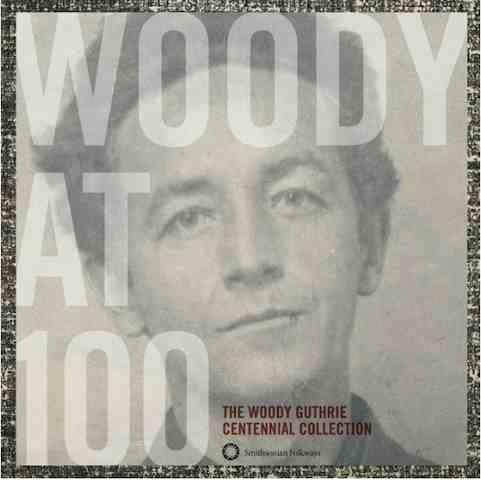 ‘Woody at 100’ will also be available for digital download and streaming from all major music retailers July 10. Woody Guthrie was born on July 14th, 1912, in Okemah, Oklahoma. Over the decades, his songs have run around the world like a fast train on a well-oiled track. They’ve become the folk song standards of the nation, and also known and performed in many languages throughout the world. “Pretty Boy Floyd,” “Pastures of Plenty,” “Hard Travelin’,” “Deportees,” “Roll On Columbia,” “Vigilante Man” and “This Land Is Your Land” are among the hundreds of his songs that have become staples in the canon of American music. The GRAMMY Museum is partnering with the Guthrie Family / Woody Guthrie Publications, Inc., and the Woody Guthrie Archives to create the Centennial celebrations. The year-long celebration will include a host of concerts, programs and events taking place throughout the country and across the pond. Woody100.com is a joint effort of The Grammy Museum, the Woody Guthrie Archives and Woody Guthrie Publications, created as a hub for all upcoming activities taking place across America and around the world, throughout 2012. While browsing the Smithsonian website this week I ran across this video clip on a regular musical event in a small town in the USA called Floyd in Virginia. Every week, the Floyd Country Store draws musicians and their fans from across southwest Virginia. People have been meeting there from all over the southeast for years playing the music that has been a part of their family for generations. People get together in alleys and parking lots to form impromptu groups playing bluegrass and traditional country music. The Floyd County Store is now the traditional jam centre for the region and now a major stop on Virginia’s 250-mile Crooked Road. Read the whole article at the Smithsonian Website. On 22nd April 2011, Hazel Dickens passed away. 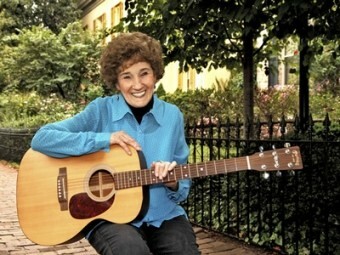 Hazel was one of the most important bluegrass singers of the last fifty years and the writer of very poignant songs drawn from her personal experience. Her ties to the Smithsonian Folklife Festival and the Festival family were long-standing and very close. Beginning in 1969, she appeared at the Festival fifteen times, and when Ralph Rinzler, the founding director of the Festival, would have office parties at his home, Hazel was usually invited. These were great evenings of sharing songs, and everything would always stop when it was Hazel’s turn to sing. The Smithsonian Folkways website features a wonderful tribute to Hazel Dickens. On 5th April 2011, Smithsonian Folkways Recordings will release two albums to commemorate the 150th anniversary of the first shots of the Civil War at Ft. Sumter. 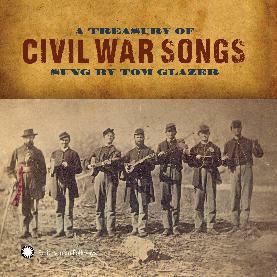 A Treasury of Civil War Songs, performed by Tom Glazer, and Civil War Naval Songs by Dan Milner and Friends feature popular songs from the era representing both Union and Confederate sources. A Treasury of Civil War Songs, performed by Tom Glazer (1914-2003), was first recorded in 1973, and is now reissued digitally for the first time. This is Glazer’s take on classics such as The Battle Cry of Freedom, and John Brown’s Body, along with twenty-three other standards that display all the emotional complexity and hardship of what came to be known as America’s most violent war. 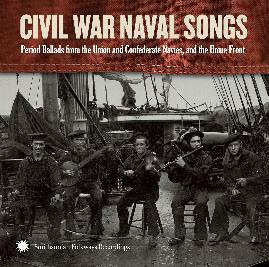 Civil War Naval Songs is also set for release on 5th April. Civil War Naval Songs is artist Dan Milner’s 2nd Smithsonian Folkways release following his critically acclaimed 2009 album, Irish Pirate Ballads and Songs of the Sea. Collected from many nineteenth century sources, the songs presented here document the maritime journeys of sailors, merchants and prisoners whose fate was to become America’s history. Along with traditional covers, Milner takes various poems and texts and revises them into song with help from guest musicians and friends over this 52 min. record. Smithsonian Folkways is the nonprofit record label of the Smithsonian Institution, the national museum of the United States. As part of our mission, we are dedicated to supporting cultural diversity and increased understanding among people through the documentation, preservation and dissemination of sound. Further to our post on this topoic last month Smithsonian Folkways have announced the release date of the Ola Belle Reed album, Rising Sun Melodies – 3rd August 2010. Ola Belle Reed (1916 – 2002) grew up in western North Carolina’s Appalachian Mountains. Her story permeates the music and extensive liner notes of Rising Sun Melodies. It is the story of a woman with a big heart and big voice and the wonderful music community she and her family helped create; it is also the story of her family still keeping it going today. The CD contains 19 tracks of Ola Belle’s pure, forceful singing and nimble banjo-playing; eight of the tracks are previously unreleased live recordings from the Smithsonian Folklife Festival (from ’72 and ’76), including her versions of Ralph Stanley’s I Am the Man, Thomas and Hank Williams’s I Saw The Light. Ola Belle Reed was a trailblazing force for women in bluegrass music, an Appalachian woman of hard-earned talent and generous ways who delivered honest music sung from the heart. Her songs I’ve Endured, High on the Mountain, My Epitaph, and many others forge real-life experiences into music steeled with determination, family tradition, and commanding presence. Classic tracks from the Smithsonian Folkways and Smithsonian Folklife Festival archives remind us why the light of Ola Belle’s music shines brightly to this day. 8 previously unreleased tracks, 40-page booklet with photos, 61 minutes – Smithsonian Folkways. Smithsonian Folkways have granted us permission to provide a free download of the track Readers may download a track from the CD. Click here to download a copy of Look Down That Lonesome Road which you can sample below. Rising Sun Melodies by Ola Belle Reed. 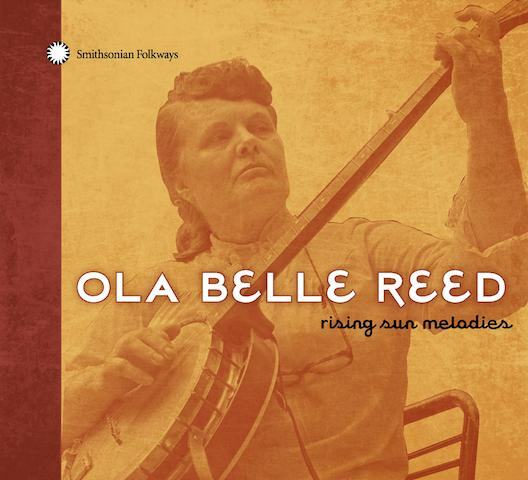 Smithsonian Folkways has advised us of an upcoming 3rd August, release of Rising Sun Melodies, featuring the music of influential bluegrass singer/songwriter, Ola Belle Reed. One of the pioneer female musicians in bluegrass, Ola Belle had a big voice and an even bigger heart, singing her story through the music of the Appalachians. The rich tradition of music in the Appalachian Mountain region of the USA includes the sounds of the many immigrants who settled there, including string band tunes from black and white traditions, spirituals and hymns taught by the local singing schools, parlor ballads, and minstrel tunes. The voice and spirit of Ola Belle Reed has made a lasting impression on the world of bluegrass and of Appalachian music. Her music has been covered by some of the biggest names in country and bluegrass music, such as Del McCoury, Tim O’Brien, and Marty Stuart, and up-and-coming bands such as Crooked Still and Ollabelle, who are named for Mrs. Reed. Decades after these recordings, and eight years after her passing, Ola Belle’s original songs and voice still ring true and continue to influence a new generation of musicians. Named after Ola Belle’s childhood home, Rising Sun Melodies features remastered recordings of eleven of her influential Folkways recordings, including her beloved songs, High on a Mountain, I’ve Endured, and My Epitaph, as well as eight previously unreleased live recordings of Ola Belle leading a band of family and friends at the Festival of American Folklife in 1972 and 1976 – now known as the Smithsonian Folklife Festival.